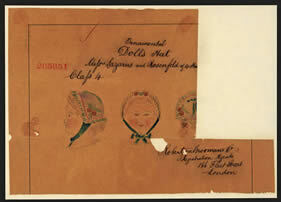 Ornamental Doll's hat. Messrs Lazarus and Rosenfeld of 4 Hou [design lacking right hand corner]. Robertson Brooman & Co, Registration agents 166 Fleet street, London.